Where Fender met a new Land Rover friend, called iLandi; Finally, Fender crosses the Karoo and drives in Cape Town, ready to sail home to the UK. This is a journey that so many Land Rover’s have taken… it is just so much fun that Fender has made it. Of course the illustrations are fantastic, lovely detailed pictures of the surrounding countryside. If you are looking for a cross-cultural book, that you can read in a sitting and enjoy, and also plot on a map and talk about different countries as you travel across Africa, then this is the book for you. 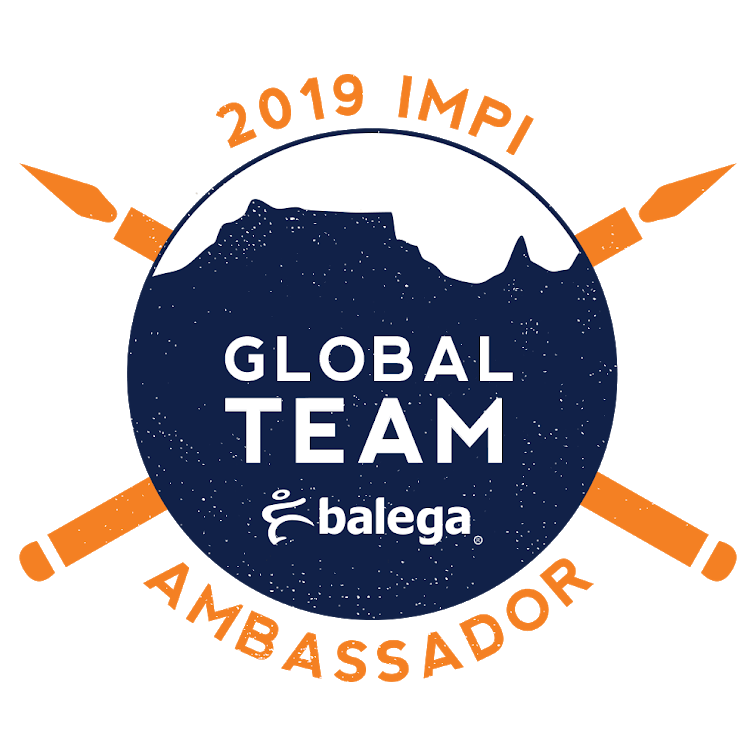 If you want to know more about Kingsley Holgate’s humanitarian work in Africa, “Saving and Improving Lives through Adventure”… then stop by his website. Meanwhile, you can take a look at previous books in the Landy series over here, and even more over here. And you can meet the author-illustrator, Veronica Lamond at her website over here. 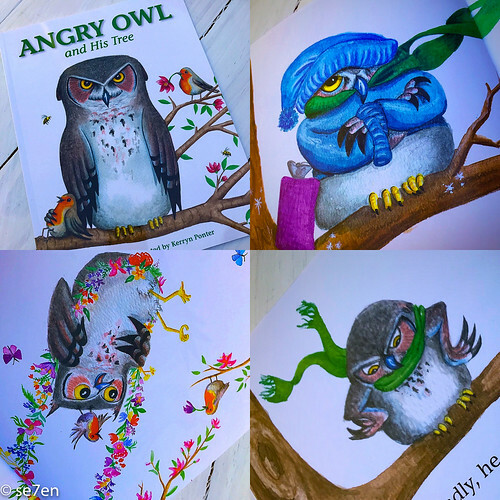 Angry Owl Written and Illustrated by Kerryn Ponter: If you haven’t met Owl, then it is time. He is delightfully grumpy and really doesn’t do change at all well. Just as he is settling into the season, so the season changes… as he tree travels from Autumn, through Winter, and Spring, and back to Summer… poor owl has to adapt. A lovely way to talk about seasons with your little ones… the illustrations are bright and fun, and the pages are not too busy. All in all, despite an Angry Owl, this is a delightfully happy little bedtime read. 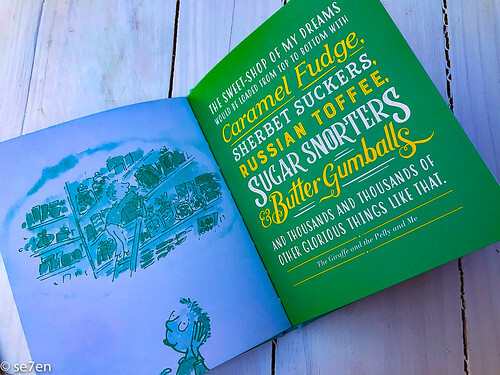 How Not to Be a Twit and Other Wisdom from Roald Dahl: It is the season to be looking for delightful little giftable books… and this is one of those. There are, I am sure special people in your life and not just Roald Dahl fans, who would love to know how not to be a Twit!!! This book is filled with whimsical quotes and all that is marvellous about Quentin Blakes illustrations. This has to be my favourite quote, from a house full of lefties… “Meanings is not important,” said the BFG. “I cannot be right all the time. Quite often I is left instead.” From the BFG. Absolutely love it and all things Roald Dahl of course. Ladybird Tales of Adventurous Girls introduced by Jaqueline Wilson: Another fantastic giftable book and not your typical fairytale stories at all. It is a beautiful hard back book, filled with rich stories of brave and feisty girls. 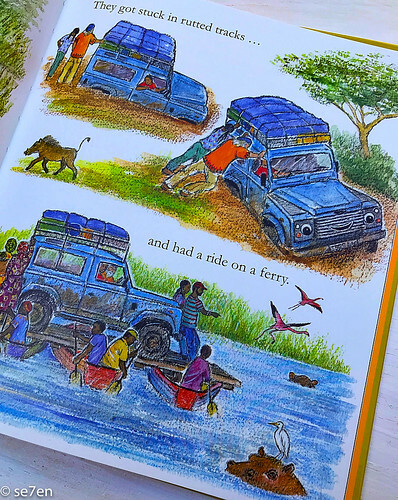 These stories are from all around the world and the illustrations are unique to each story and just incredible. 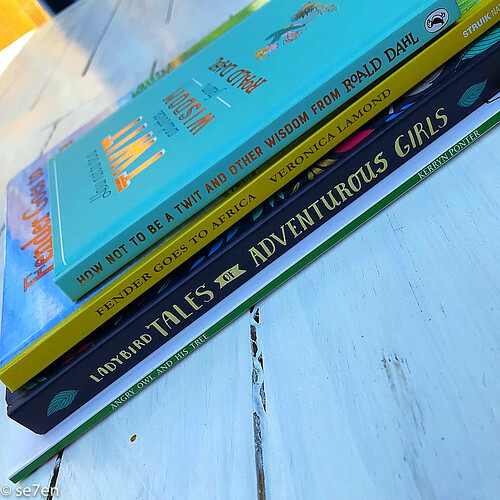 We really enjoyed the stories in this book… fabulous stories for girls and boys to enjoy, it just so happens that the girls in these stories are rather, extremely, incredibly heroic. This is lovely. The illustrations in this book make it quite magical. I am all for fantastical illustrators, so here is a shout out to the illustrators in Ladybird Tales of Adventurous Girls. Gretal and Hansel, illustrated by Olga Baumert. Tamasha and the Troll, illustrated by Molley May. Tokyo and the Sea Serpent, illustrated by Kerry Hindman. 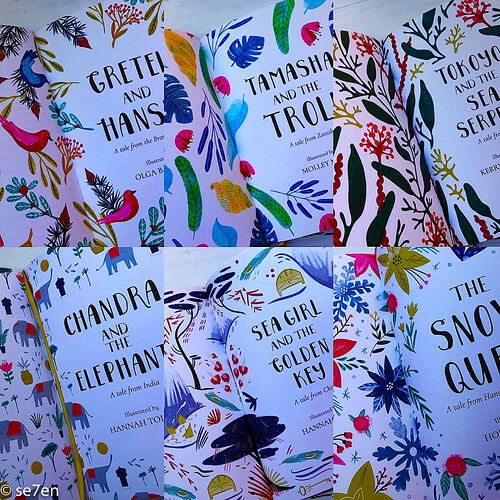 Chandra and the Elephants illustrated by Hannah Tolson. Sea Girl and the Golden Key by Hannah Peck. The Snow Queen, illustrated by Holly Hatam. The Tween/Teen Reads in this month’s review post are both about teens who really struggle in the world around them. In the Girl in the Window our heroine suffers from M.E., but the book isn’t about M.E. perse, which makes it an excellent read… In Rosie Loves Jack, you will be struck by the difficulties that folk that have Down Syndrome battle with on a daily basis. Rosie loves Jack goes straight onto my “You have to Read This Book” list for 2019, though for me, the criminal element in it, pushes it into the teen rather than tween read category. Girl in the Window by Penny Joelson: In Girl in the Window our heroine, Kasia, suffers from Chronic Fatigue Syndrome (ME) and is forced to stay at home, she has been indoors for ten weeks and really just too ill to do anything. And then she spots an abduction. She is not sure if someone in the house opposite sees the crime, but she calls the police to report it anyway. This is all in the first two pages. Kasia, is so ill that she cannot find the energy to get up and go down the stairs, let alone investigate an abduction. Especially, since the police declare that no one was reported missing and they are not sure that a crime has even occurred. This is a mystery of note, you want everything to move along faster, but it can’t because ME is a slow, slow illness… and it is all going to just take time. This is an excellent read and perfect for mystery loving tweens and teens. I like that Kasia’s family is a family of Polish immigrants living in the UK, it adds to the tension in the book. It turns out that there are a number of issues in this “day in the life” book and it is not so much about living with M.E., but about human trafficking. The topic is raised in an easy to understand way, just part of the story… with the girl that never shows herself in the window, until the story bit by bit reveals her to us. Kasia’s friendships and her relationship with a boy she likes, as well as her best friend, Ellie’s relationship with a girl in their class… felt a bit like the author was trying to add “just one more issue” to the story. That being said, I highly recommend this book for the way it exposes the issue of slavery and trafficking, in a way that young teens can really relate to and at the same time peak their empathy skills for friends who might not share the same robust health that they have. You can meet the author at her website over here. 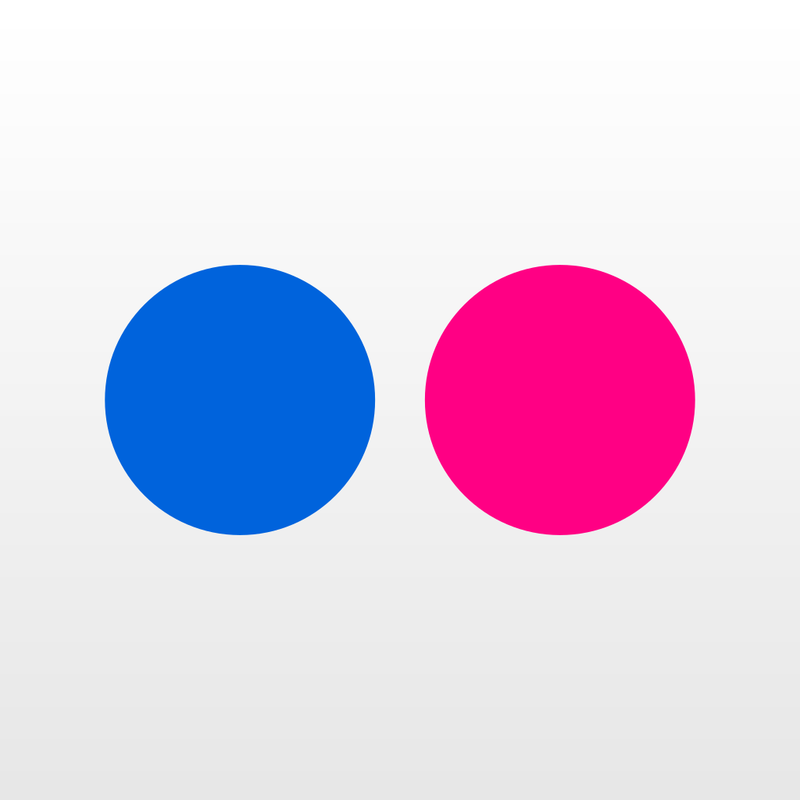 And, you can read about the author’s experience with M.E. 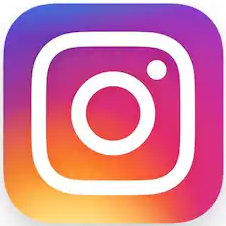 at this link. 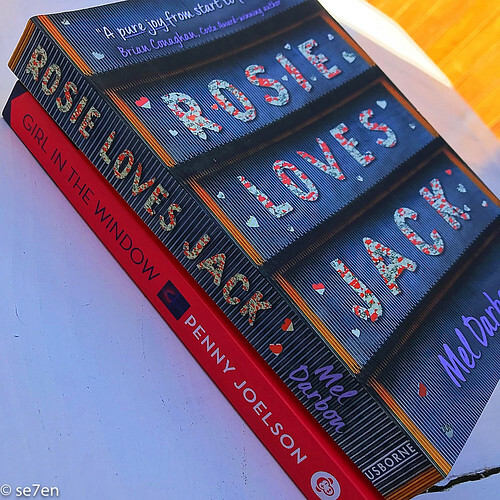 Rosie Loves Jack by Mel Darbou: This is one of those books where absolutely no review will do it justice… this book just has to be read. I have to say that I wanted to read this book because of the absolutely beautiful cover… and from the cover I thought it would be a sweet love story between Rosie, who has Downs Syndrome, and Jack who has severe anger issues due to a head trauma. Well, it is nothing like that… it is a gritty real life novel, about Rosie, who does have Down syndrome, and she is in love with Jack, who does have anger issues. Her parents are not happy about her relationship and when Jack gets sent to the coast to learn how to handle his anger issues, Rosie is bereft. 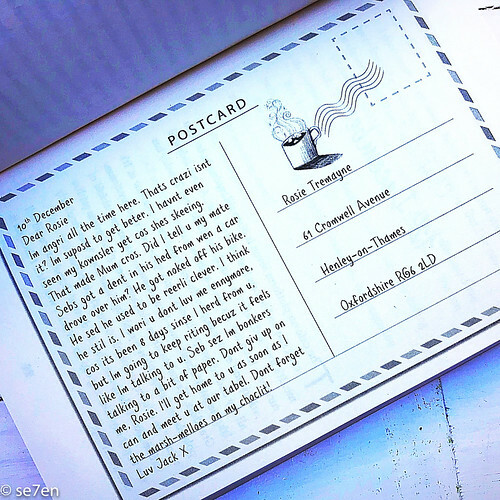 He sends her postcards, which are printed in the book (love this illustrative touch) and her father hides them from her. Rosie thinks she will never see him again and that he doesn’t love her anymore and decides to visit him, she leaves her special needs college class and heads out in deteriorating weather, and plans to travel to Brighton on her own, without telling anyone. Rosie is sixteen years old, with a feisty heart… but my oh my, there is a big bad world out there and she gets caught up in a really nasty situation. As you would expect Rosie is really naive and takes everything at face value… Luck is on her side and (spoiler alert) she does get through… but it is hard and your heart will break for Rosie more than once. The book is written from Rosie’s perspective, so you can see the world through her eyes. You can see her determination as she really, really wants to get to Brighton, and her Jack. This book is essential reading, it is not a kids read, in fact the criminal element places it over the heads of my tweens. This book is perfect for teens and anyone who wants to understand what the world looks like for a person who really struggles in the world. Rosie is indeed a true hero and I would put this book straight onto this year’s “Must Read” list. You can meet the author, at her website her here. A while back I treated myself to a Susan Lewis weekend, her books are comfortable “day in the life” reads. And I enjoyed that weekend so much that I recently gifted myself with another one. I enjoy her reads, they are interesting, light and the perfect book for taking a break. Yes, there is usually some sort of a mystery, and the goings on and ins and outs of small town life. 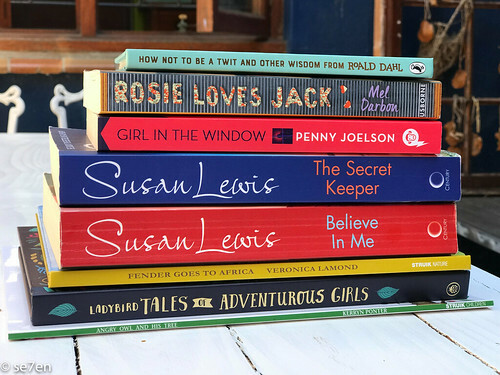 These reads are perfect holiday reads… things happen, social issues are raised, life goes on, curiosity will quickly carry you to the end and you won’t be traumatised by what you read. Light reading for the win and usually a happy outcome. The Secret Keeper by Susan Lewis: This is the story of Olivia, who didn’t marry her high school sweet heart, but when they drift apart she marries Richmond. On the surface Olivia and Richmond have the perfect life, their pigeon pair and their dream house in a small seaside town. Twenty years down the line and all that is perfect turns out to be far from perfect, her high school sweet heart arrives back in town, and so does her husband’s ex-girlfriend. Olivia is a covering cancer patient, her teenagers are not the easy breezy kind, her husband appears to be spiralling into the business disaster of the age… and is if that isn’t bad enough, things start to go strangely awry. A dinner party becomes a veritable nightmare, her daughter’s friends are not the friends she thought they were and everyone around her appears to be “carrying on as normal.” Everything is so not normal, but who is telling the truth and who can she actually trust. 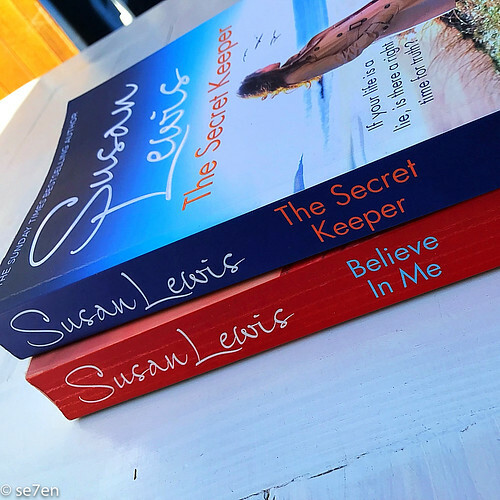 Believe in Me by Susan Lewis: This is the story of Leanne and her daughter, Abby. What do you do when your husband kills himself, well you retreat to your childhood home, in the hopes of recovering and knowing that you never will. Leanne’s mum, Wilkie, is exactly what they need, she rules the farm and its inhabitants in a special way, she has time and attention for everyone staying there, and especially for Abby. As they begin to heal from their trauma, Wilkie takes in a foster child, who turns out to be exceptional, and not just because his father may well be unable to parent him. The foster child, Daniel’s father in prison for a crime he may not have committed. This is an interesting read, and lots of topics are covered: recovering after a suicide in the family, Brexit, foster care, bullying… a lot of issues are raised and yet the story flows naturally onwards. 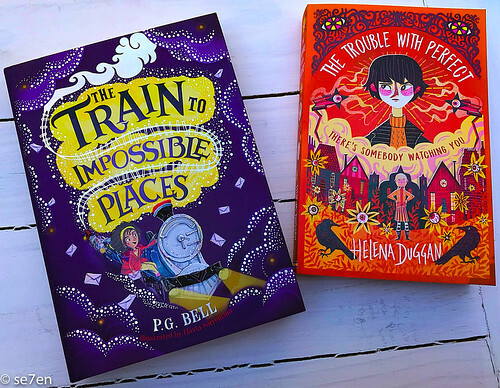 The Train to Impossible Places by P.G.Bell illustrated by Flavia Sorrentino and The Trouble with Perfect by Helena Duggan. Thanks so much to Penguin Random House, South Africa for gifting these books for review purposes. This is not a sponsored post and opinions expressed are entirely our own.